Ex-MK Ben Ari calls on Jews to make a stand when Arabs hold 'Nakba' event on Independence Day. 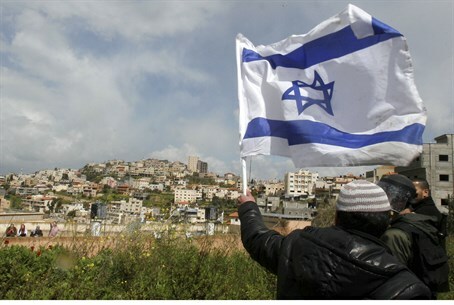 Arab Islamists are planning a show of strength on Israel's Independence Day (May 6) - but Zionist activists led by former MK Michael Ben-Ari will be there to make a stand for Jewish pride. Ben Ari informed his Facebook followers that "the Arab enemy in Nazareth" is planning to bring 10,000 people to demonstrate "solidarity with the uprooted residents of the village of Lubia" as part of the so-called Nakba protest, on Yom Haatzmaut, or Independence Day. The Arab provocation will take place "near the Golani junction, adjacent to the Golani Brigade memorial museum, next to the picnic site at Lavi forest, where thousands of Jews gather annually to celebrate the miracle of the return of the Nation of Israel to its land, and the salvation from the Arabonazis' attempt to annihilate us in the War of Independence." The Arabs plan to disrupt the Jewish state's holiday celebration, explained Ben-Ari, "in the name of 'democracy' and 'freedom of protest.'" Another well-known nationalist activist, Baruch Marzel, will also be present at the Jewish celebrations near the Golani junction, promised Ben-Ari. The former parliamentarian said that he has asked the Minister of Public Security not to allow the Arab demonstration, but the minister has not agreed to block the protest. He also attached a letter from the Moti Dotan, Head of the Lower Galilee Regional Council, who asked the Arab organizers not to carry out their plans, which he warned could lead to a violent confrontation. On Independence Day in 2007, Arabs disrupted Jewish celebrations near the Megiddo Junction. 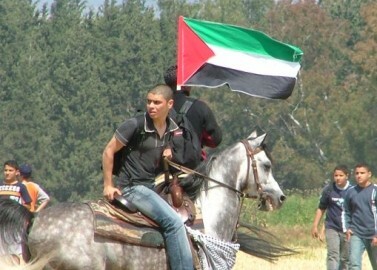 An Arab mob of several thousand - including young men on horseback and others waving PLO flags - surrounded and threatened about 150 Jews from Haifa who went to Megiddo Forest to celebrate Israeli Independence Day. A young Jewish man was lightly injured in the ensuing clash. "Within a short time, there were hundreds of Arabs surrounding us," one of the Jewish celebrants recounted. "We felt threatened. We are here with little children and they are threatening us. We called the police. They promised they would handle it and send a patrol car, but the car never arrived. We called the police again and again, but the help never arrived." At this stage of the incident, a few of the Jewish young men, with Israeli flags in hand, charged the gathering Arab mob. Within moments, a fight broke out, during which one of the Jewish youths suffered a light injury to the face. The Arabs, still threatening the Jewish families, called for more of their comrades to join them. Within forty minutes of the start of the incident, 6,000 Arabs waving PLO flags and making menacing threats had gathered around the group of Jews in Megiddo Forest. It was only at this point that a border guard patrol jeep showed up on the scene, with just six soldiers. On Independence Day of 2008, hundreds of Arabs clashed violently with a group of Jews celebrating Independence Day near Tzipori, in the Galilee. In the ensuing riot, five police officers were injured and six rioters were arrested. Two Arab Members of Knesset who took part in the rally and ensuing violence were lightly injured, as well. Both police and Arab MK Mohammad Barakeh (Hadash) confirmed that the violence started when members of a Zionist youth movement raised the Israeli flag at a Independence Day picnic not far from where the Arabs had gathered for their anti-Israel event. The Arabs demanded that the Jews lower their flag, which led to a heated exchange of words that eventually escalated to rock-throwing and necessitated police intervention. The incident then turned into a large-scale anti-Israel riot, during which police were forced to close the adjacent Highway 79. The two Arab MKs who were among the rioters, Hadash's Barakeh and Wasil Taha (Balad), both claim they were lightly wounded by police.